It was early on in the telecast when the announce team pointed out the discrepancy in Montreal Canadiens goalie Carey Price’s stats between November and December. It was jaw-dropping. Conveniently enough, the Canadiens were facing the lackluster Ottawa Senators for the third time in two weeks this past Saturday. In part on the strength of what would end up a third 5-2 decision in favor of the Habs, Price is now 6-1 in December with a save percentage of .915. Contrast that with his performance throughout November: 3-5-2 with a save percentage of .886. It’s a staggering difference, for the better obviously. What was maybe more staggering though was the following: Even taking into account Price’s .917 save percentage in December heading into the game, which had been the one cited in the Sportsnet graphic, the announce team tried to pass off Price’s more-recent stats as being where they needed to be. That’s, well, a lie. 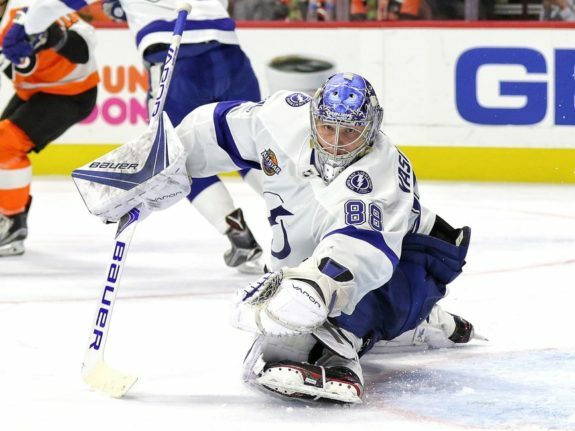 Tampa Bay Lightning goalie Andrei Vasilevskiy is leading the league with a .933 save percentage. The likes of Edmonton Oiler Mikko Koskinen, Nashville Predator Pekka Rinne and Anaheim Duck John Gibson all have save percentages of .927 or higher. Hell, even Boston Bruin and ex-Canadien Jaroslav Halak, who’s having a career renaissance playing behind a defense that’s been even more injury-riddled than that of the Habs’, is eighth in the league with one of .926. There is no good reason Price shouldn’t be among those names. There is worse reason why, in a league of 31 teams and 31 starters (for all intents and purposes), he is No. 39 with an overall save percentage of .902. It’s all nice and good if he’s been able to turn a corner. But don’t brag Price is back when his save percentage over the last few games is literally the same as the league average during the 2014-15 season (.915) in which he won the Hart Memorial and Vezina trophies with the same exact one Vasilevskiy is leading the league with now (.933). When you do, you’re making it crystal clear that you’re either grasping for content to fill air time or don’t know what you’re talking about, because Price isn’t back. It’s true the league average has fallen since 2014-15 and Price is within its grasp (.907). It’s a sad situation though when that would count as a moral victory for a goalie who was once on top of the league for a prolonged period of time. While Price may be far from done and there have no doubt been games where his stellar play wasn’t reflected in his stats, it shouldn’t detract from the accomplishments of others. There are goalies in this league in the here and now who have found a way to play their way into truly elite status. Vasilevskiy’s save percentage is evidence of that. And, because Price is being paid an average of $10.5 million per year over the next eight seasons, for anyone to make a legitimate claim that Price is back, the Habs goalie is going to have to get his stats up there too… because they’ve been there before. 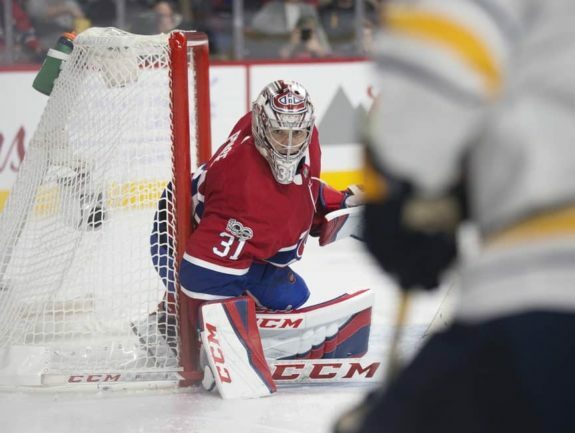 All that, and there was still an undeniable collective breath that all of Canadiens fandom held when Price was left in visible pain clutching his leg, also early in the first of Saturday’s game. Senators forward Brady Tkachuk had driven to the net seemingly trying to jam in the puck on Price’s left side. Somehow, in spite of minimal physical contact Price and Tkachuk’s stick, Price found himself in physical distress, enabling Colin White to bury the rebound. The sequence of events that came about immediately thereafter was tragically hilarious. Price trying to skate away the pain and head coach Claude Julien opting for a video review to dispute a non-goaltender-interference call, despite replays clearly showing Tkachuk did nothing wrong on the play. Because, apparently, these days whenever a stick so much as comes into contact with a goalie’s pad, watch out. Julien does realize the heavily padded Price faces rubber projectiles at upwards of 100 miles per hour on a regular basis, right? It’s almost as if Julien was guilty of focusing too much on the small picture and not enough on the big. Forget the singular play, on which nothing illegal occurred. Remember the fact Price has a history of lower-body and knee injuries for crying out loud. It literally is blowing my mind at the moment that the most important player on the Montreal Canadiens actually grabbed his knee in pain and no one is going to look at him, and he is playing through it. Stunned. Maybe Julien was trying to buy Price some more time to recover, but there’s no excuse for not sending someone out to at least check to see if he was all right. Yet, it was at least the second time in a week that Julien made a questionable call (or lack thereof) with regard to Price’s well-being. Against the Minnesota Wild, Julien took backup Antti Niemi out of what was a 7-1 blowout in the third period to put Price in. The game had already been decided, so there was little point other than to prevent Niemi from being embarrassed further. 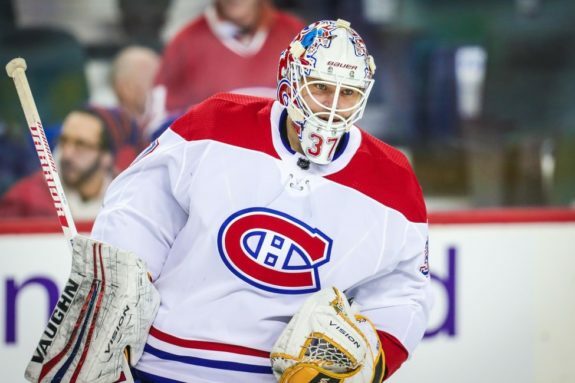 That’s part of Niemi’s job as Price’s backup though, to stay in during situations like that, much like predecessor Al Montoya did in a 10-0 loss to the Columbus Blue Jackets a few years ago. Seriously, whatever happened to protecting your investment? Because at the end of the day, that’s what Price is, a major investment. If anything happened to Price, it would most definitely sink whatever chances the Canadiens had at making the playoffs this season. Because, while Niemi is doing a decent job as a backup, with a 4-3-1 record, he clearly hasn’t got what it takes to be a starter anymore. Price for all of his faults, starting with his price tag, does. I mean, if you were to take away that massively inflated deal, you’d be left with a capable starter, right? That’s what the stats over the last few games show, after all. And that’s what the Canadiens need, not just for this season, but for the time Price has left under contract, because, realistically speaking, he’s not going anywhere. 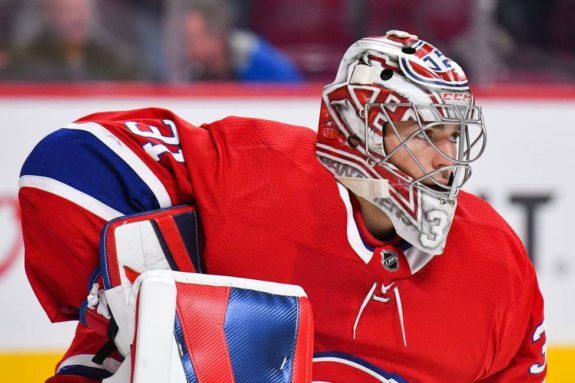 Yes, the Canadiens can upgrade at the goaltending position at this point and yes, Price needs to be better, but so do the Canadiens in front of him. As defenseman Shea Weber’s injury, during which the Canadiens played competently, proved, they don’t necessarily need him over short spurts to band together. As the 2015-16 season, during which the Canadiens got just 12 games out of Price before imploding and missing the playoffs, proved, they need him more. The definition of the term MVP is widely debated. Should the title be awarded to the best player in the game or to the player who makes the biggest difference to his team? For the Canadiens, under that second definition, there’s little debating that player is Price. For better or worse. Granted, that’s in part due to lack of a viable alternative in nets. With none readily available, you’d think the Canadiens would be doing a consistently good job of protecting him. That starts with simple things like making sure he’s all right if he appears to be in pain. It ends with properly insulating him with the right players on defense to the point that the Canadiens shouldn’t have to rely on their goaltending to the degree they do. In the recent past, the Habs have proven unable to get the bare-minimum requirements right. Read into that however you wish, but the argument is: If the Habs make the playoffs, it will probably be mostly because of Price. If they miss them, it might very well be the fault of the team, nay, the organization, around him. There’s only so much one man in Price can do. If nothing changes, everyone will find out whether it will be enough in the coming months.